The mission of the NCI’s Office of Cancer Clinical Proteomics Research (OCCPR) is to improve prevention, early detection, diagnosis, and treatment of cancer by enhancing the understanding of the molecular mechanisms of cancer, advance proteome and proteogenome science and technology development through community resources (data and reagent), and accelerate the translation of molecular findings into the clinic. This is achieved through OCCPR-supported programs such as the Clinical Proteomic Tumor Analysis Consortium (CPTAC), partnerships with Federal agencies, and collaborations with international organizations/institutions. 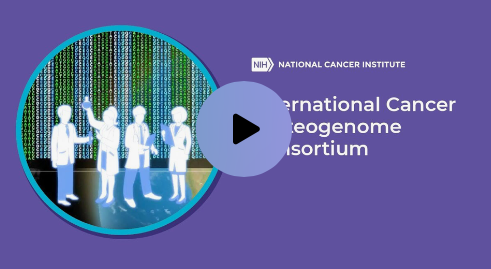 Learn about ICPC and how the consortium is breaking down silos to advance proteogenomic cancer research worldwide.